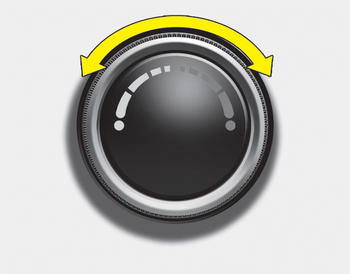 The temperature control knob allows you to control the temperature of the airflow in the vehicle. Turn the knob to the right to increase temperature. Turn the knob to the left to decrease temperature.